©2014 Brian Wan. Reproduced with permission from HMHCO. The Huffington Post dubbed Brian Won’s picture book debut it’s overall pick for best read-aloud of 2014. Now, the story of a crabby elephant whose jaunty topper brings joy to his fellow jungle creatures is available in Big Book format. Clutches of young readers can gather around Won’s delightful illustrations of pouting giraffes, sour turtles, petulant owls, and a wonderful assortment of hats sure to brighten any gloomy day. Chapeau to this adorable update ideal for libraries and nursery-school classrooms, or anyone facing an oversize case of the grumps. Text and images ©2016 Steve Jenkins and Robin Page. Reproduced with permission from Houghton Mifflin Harcourt. Flying Frogs and Walking Fish, by Steve Jenkins and Robin Page; Houghton Mifflin Harcourt, $17.99, 32 pages, ages 4-8. Tree-climbing goats, walking octopuses, flying snakes, and other creatures make an appearance in the latest scientific exploration by husband-and-wife duo Steve Jenkins and Robin Page. Over forty animals climb, jet, roll, and leap through the pages, highlighting all the ways critters move. Expressive paper collage renderings of elephants, springboks, and scallops are accompanied by precise, straightforward text that both informs and delights. A glossary offers further explanation about each creature. An engaging concept book that nurtures scientific inquiry and artistic creation. From the Big Bad Wolf to the Frog Prince and Peter Rabbit, animals have long played central roles in children’s literature. Now the Bruce Museum in Greenwich, Connecticut is exploring how and why artists highlight certain animal characteristics. Wild Reading: Animals in Children’s Book Art, which opened March 26, includes over thirty illustrations and original artwork by Lynne Cherry, Wendell Minor, Wendy Rasmussen, Maurice Sendak, Eric Carle, Fred Marcellino, and Brendan Wenzel. Taxidermy specimens from the Bruce’s natural history collection are paired with illustrated counterparts to demonstrate what makes each animal unique, and why artists choose to focus on one feature or another. A surprisingly alert raccoon, for example, is mounted next to a watercolor illustration by Brendan Wenzel, which emphasizes the creature’s large, inquisitive, eyes. A gray wolf, groundhog, chipmunks, three black bears, and other stuffed creatures offer plenty of opportunities to explore a range of artistic styles–Wendell Minor’s keen observation of animals in natural habitats contrasts nicely with Scott Nash’s swashbuckling, whimsical pirate, Captain Blue Jay. No matter the method, each illustrator engages children in the story at hand. The whole ensemble delightfully combines art and science. Wild Reading: Animals in Children’s Book Art runs from March 26 through July 3, 2016 at the Bruce Museum in Greenwich, CT. Visit the museum website for hours of operation and special activity days. the importance of great editors, and how his books take shape. Basbanes: What made you decide to go the children’s book route? Arnosky: Well,on the first day of each month, Deanna and I mailed out drawings to see if I could get some freelance work, and the first publications that responded were Ranger Rick and Jack and Jill. These seemed to be where people responded to my work most. When I saw an advertisement for Cricket magazine I thought, ‘Whoa! that’s beautiful! I love that cover!’ It was [Caldecott Medal winner] Trina Schart Hyman who had done the cover. It turned out she was the art director at the time, and I sent her some drawings. She didn’t like them at all. She said, ‘This is not what we want. In fact, it’s the exact opposite of what we’re looking for. It’s all too Madison Avenue.’ My drawings were indeed very ‘Madison Avenue,’ because they were advertisements, but I wrote her back and said, ‘We live in a one-room cabin, we take a bath in a small galvanized tub. I catch our food, we grow our food and I heat the house with the wood that I cut on our property. I’m as far away from Madison Avenue as you can get.’ She responded by sending me a another letter, asking me to send something that better represented me. So I sent her my journal drawings, and she responded by giving me a Farley Mowat story to illustrate. After that I became kind of a regular at Cricket. B: How wonderful when an editor sees talent and reaches out and says this isn’t what they want, but encourages you nonetheless. A: Well, back in that time—and I’m sure that it still happens somewhere today, but not with me because I’m so old and I’ve been at it so long—people would say they recognize raw talent and if you were willing to hear some criticism and accept guidance, they would mentor you along. They would help you. and they would help you. Trina would write and say that I couldn’t draw hands very well and that I should work on that. That was enormous for someone like me who never had a single formal art lesson. I always drew from my natural ability and for Trina to – as such a skilled artist as she was—to show that interest in me was a godsend. I loved her. It turns out we lived pretty close to one another I visited her at her home here in Lyme, all the way up until she passed away [in 2014]. I used to bring her trout, so she could have fresh fish to eat. B: What a powerful relationship. J: Yes. Our daughters were friends, and we ended up living fairly close here—I was in Vermont, she was in New Hampshire. B: Your work speaks to children and to adults. While they’re realistic, they’re obviously not photographs. They show this love and appreciation of the natural world. It was wonderful that Trina saw that you had such talent. You said writing wasn’t something you ever thought you would do, but now you do a lot of it. What is your work process now? How do you start a new book? J: Ideas come to me in bits and pieces and over the course of many years. 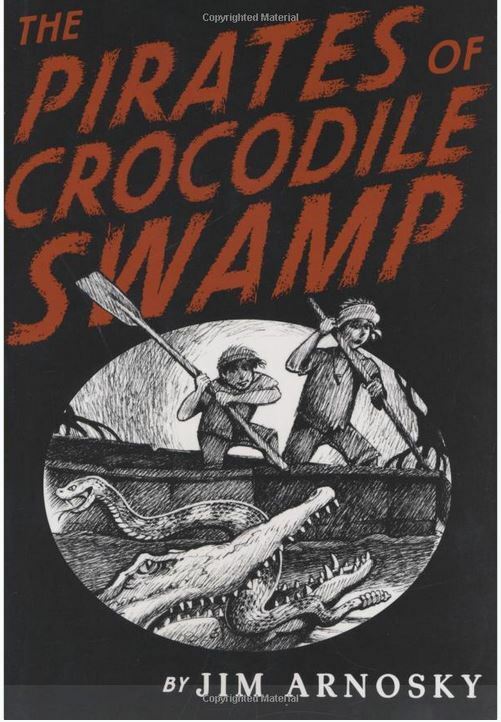 It took me seven years to write Pirates of Crocodile Swamp, and almost eighteen years to write Frozen Wild, which is out now making the rounds. These things are always based on true events, things I’ve seen and things that I know about. Still, they are fictionalized stories. Whereas with the nonfiction books, I normally become fascinated with something, or fall in love with a place, or an environment, like the Florida Keys, for instance, or the Everglades, and then after four to five years of visiting the place, photographing, sketching, and writing in my journal, usually I get some idea of what I might be able to do in a book. The pictures always come to me first. As the drawings take shape on my board I’m always fascinated by them being there, because, like I said, have no training in this, and I believe it’s some sort of gift that I am able to make a picture. Sometimes I’ll walk by my drawing board during the course of that day, and I just stare at it wondering where it comes from. Then the picture itself inspires me to write the words, and that’s when the words come. 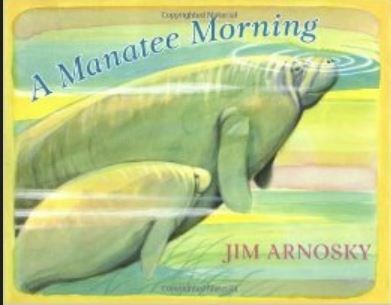 B: Could you talk about Manatee Morning? manatees represent when you see them in the wild. importance of these and other animals in the wild? little story that reflected that event. 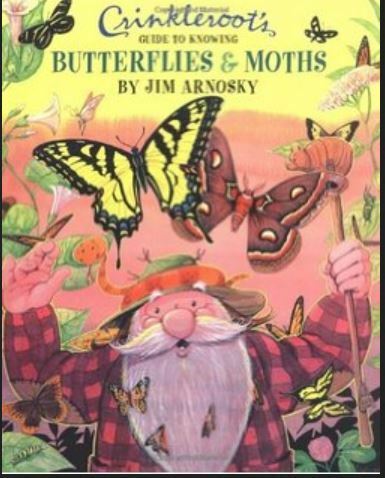 Next time, we talk about Arnosky’s favorite animals, climate change, and what’s on his drawing board now. The Winter Train, by Susanna Isern, illustrated by Ester Garcia; Cuento de Luz, $16.95, 24 pages, ages 2-5. The first snowflakes send many of us for warmer climes, and the animals in The Winter Train are no exception. The Northern Forest inhabitants prepare to escape the annual freeze, packing their toothbrushes and turning out the lights. It seems everyone makes it onto the train, except they’ve forgotten their pal Squirrel. Friends stick together in Susanna Isern’s tale full of grace and solidarity, while Jon Brokenbow’s faithful translation retains the sonorous, read-aloud quality from the original Spanish version, Tren de invierno. Ester Garcia’s renderings of partriges, hedgehogs and ferrets are cozy and endearing. As these animals of the Northern Forest know, kindness and generosity are the nicest gifts of all.